It’s almost 1992. The Soviet Union is crumbling. Back in the USA, Emma Jasohn, reigning Wimbledon champion, is confined to her home on the Long Island Sound. Pregnant, single, broken-hearted, stripped of privacy, she’s plotting revenge. She needs help. 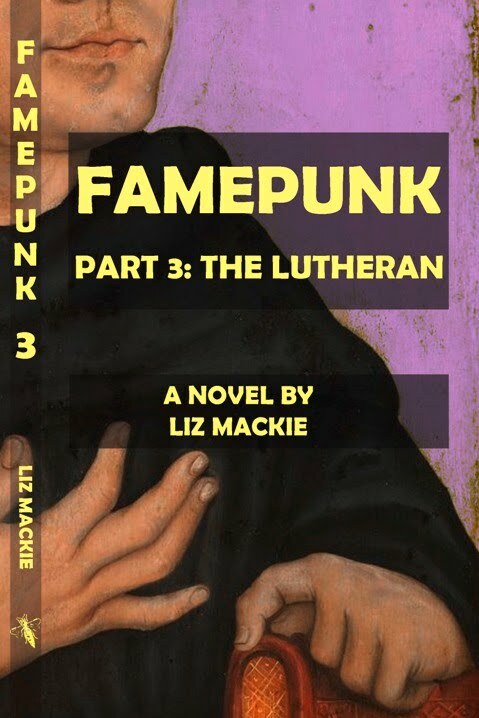 Here for any holiday, suitable for all seasons, readable in one big bite, please welcome the newest addition to the groundbreaking FAMEPUNK series. If you haven’t read the others yet, THIS is the place to start—a fast-paced, self-contained, historical-sexual comedy of manners, dreamers, sinners, students, actors, renegades, gangsters, magic-workers and BABIES. Before you take in another work of American short fiction, pause here and treat yourself to an original taste of sweet, subversive pleasure.